Leading Manufacturer of center fold woven labels, laser cut woven labels, garment size labels, taffeta labels and cloth label from Chennai. We are offering Center Fold Woven Labels to our client. Note: Prices will vary according to the order qty. and customized order. We prefer to deal in Tirupur, Chennai, Karnataka. 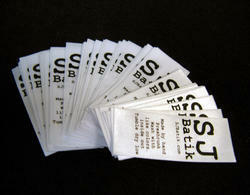 We are offering Laser Cut Woven Labels to our client. 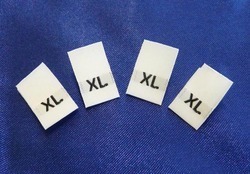 We are offering Garment Size Labels to our client. 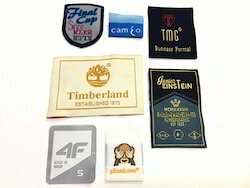 We are offering Taffeta Labels to our client.